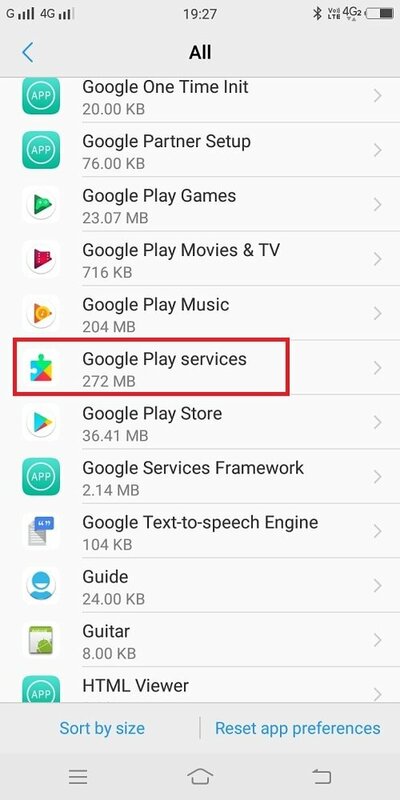 Want to fix “Unfortunately Google Play Services has Stopped” error? The following post has all the possible workaround to troubleshoot the issue. Most of the users don’t even have an idea why they see this error message. Some users think it is happening due to malware while others believe that it is a problem related to Google Play Service. The worst thing about this error message is that there is no clarification about why this message appears and how to precisely fix it. In this situation, the only solution is to troubleshoot the issue manually. The good news is that there are various troubleshooting steps which you can try until the error message goes away. Just like PCs, when you reboot the Android phone it fixes the majority of the issues. So I recommend you to try this method before you start following the other method. 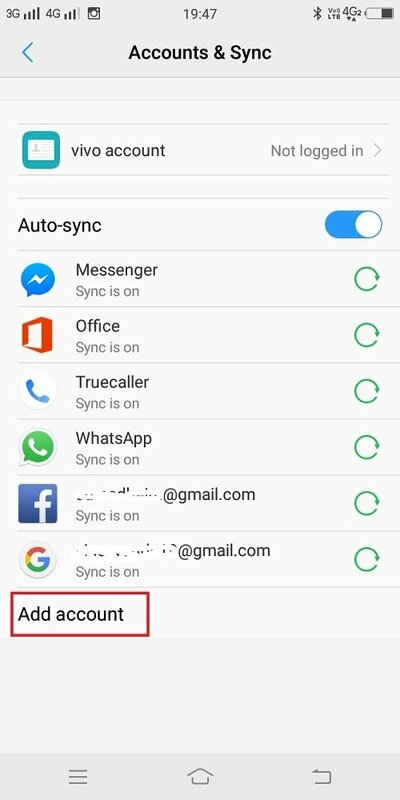 Launch Settings -> App / App Manager / Application -> Scroll down to an app named as Google Play Service and tap on the same app to open the app settings. 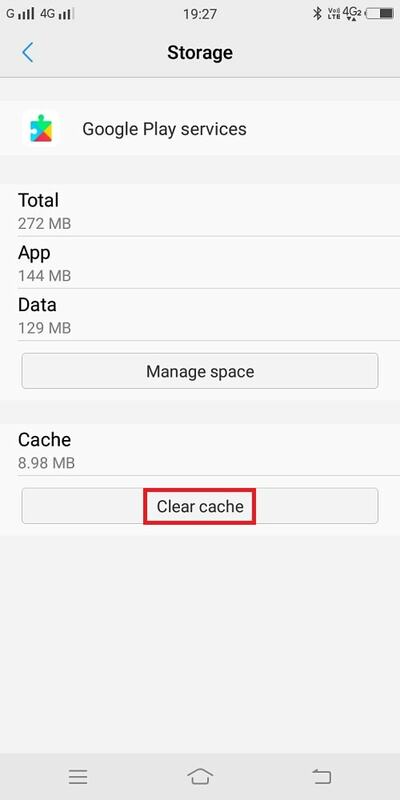 Here first tap on Force stop button and later tap on the button named as a Clear cache. Now check if this fixes the issue. 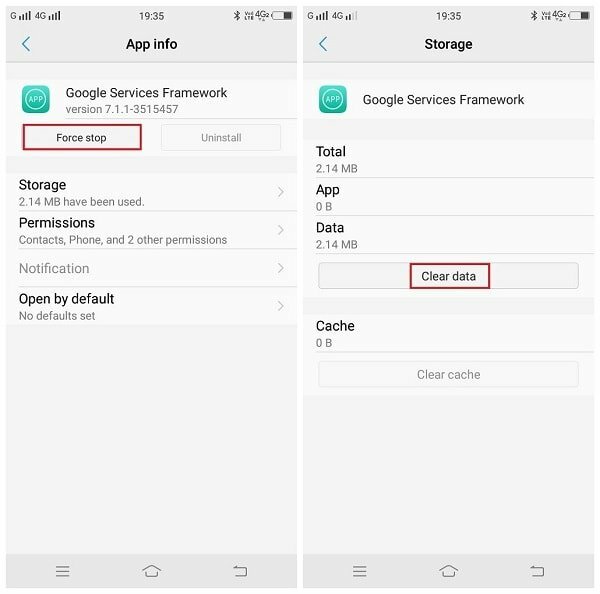 Some users suggested that they fixed the Unfortunately Google Play services has stopped error by uninstalling the cache of Google Service Framework. The Google Service framework app keeps the information related to apps and help in syncing your phone with Google services. It also helps in keeping the Gapps up to date and keep running. Settings -> Apps -> Google Services Framework. Here tap on the Force stop button and later tap on Clear cache button. Settings -> Apps -> Google Play Service. Here tap on the Uninstall update button. In some cases, the outdated Google Play service app is causing the issue. So try to update the Google Play Service app to the latest version available. Launch Google Play Store app. Here under Update tab, scroll down and check if the latest version of Google Play Service is available. If available any, then tap on the Update button next to app name. Once the latest update is installed, check if this fixes the issue. Sometimes internet connection on which you’re connected is causing the problem. Maybe the wireless network on which you’re connected is blocking the IP address which Google Service using. To troubleshoot the issue, try to connect to the different wireless network or try to use mobile data. 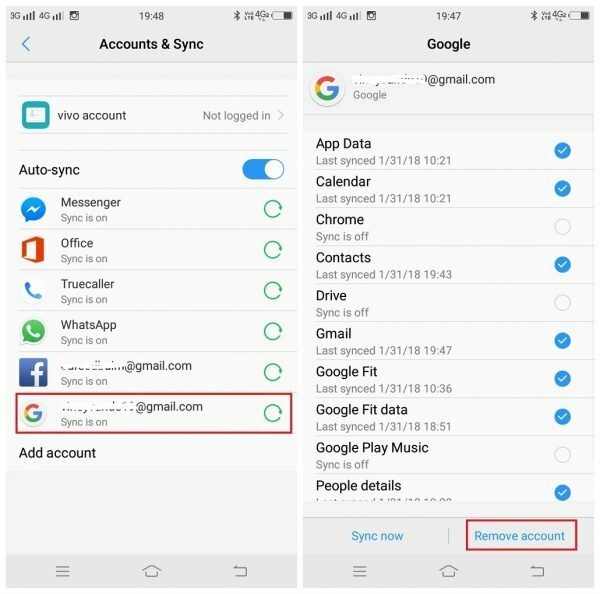 Settings -> Account -> Tap on Google account which you have linked to your phone. In the following screen tap on the Remove account button. Now get back to Account section and again add the same Google account. 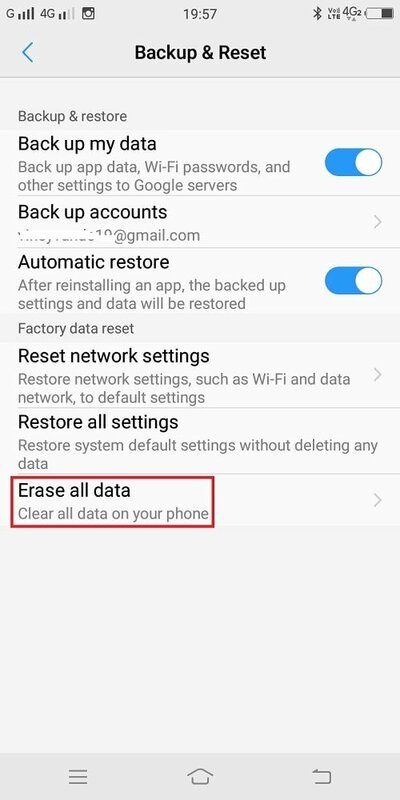 Settings -> Backup & Reset -> Erase all date. 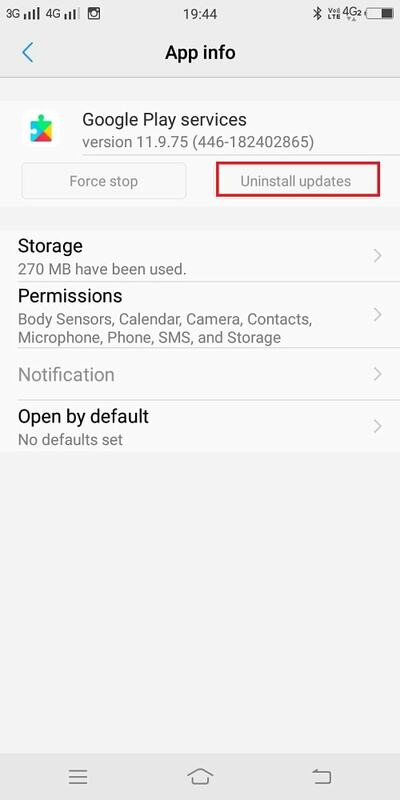 Note: Make sure to take backup of the all the important date as the process will erase all the data on the phone. This will take your phone to out of the box situation. In case, nothing help in fixing the issue, the last resort is to flash the stock firmware. For that, you can reach official service center of your mobile manufacture and request them to do so. Nope. It is totally FUBAR. I want to snap it in half.